Yes, Princess Ojiaku is her real name and yes, her parents are awesome. 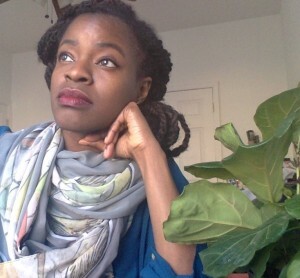 Princess is a freelance journalist armed with a traditional education in neuroscience and public policy, and an autodidactic education in data visualization, music, and culture. Her scientific interests focus on how brains and emotions are affected across lifespans. Her writing focuses on science, policy, social issues, music, culture, and the intersections between. Writing about science allows her to share one of her favorite emotions — wondrous awe. Her work has appeared in Scientific American, Popular Science, and the Washington Post. Her music comes from the joy of expression. She sings and plays bass and guitar in rock and roll bands. One day she will learn to play the drums. She grew up to the tune of dial-up and loves discovering new things both on and off the Internet. She lives, works, and loves in Chicago.